Saying you cannot do something, is not an option. Everything is possible, and should be possible. However, you can ask yourself how much challenge you, want to visit a place? Park Guëll: Ayyyy, isn´t this one of the must sees of the city??? Yes, but before deciding to visit the park, prepare yourself. The park is built on a steep hill and to get to the entrance you have to climb this hill. 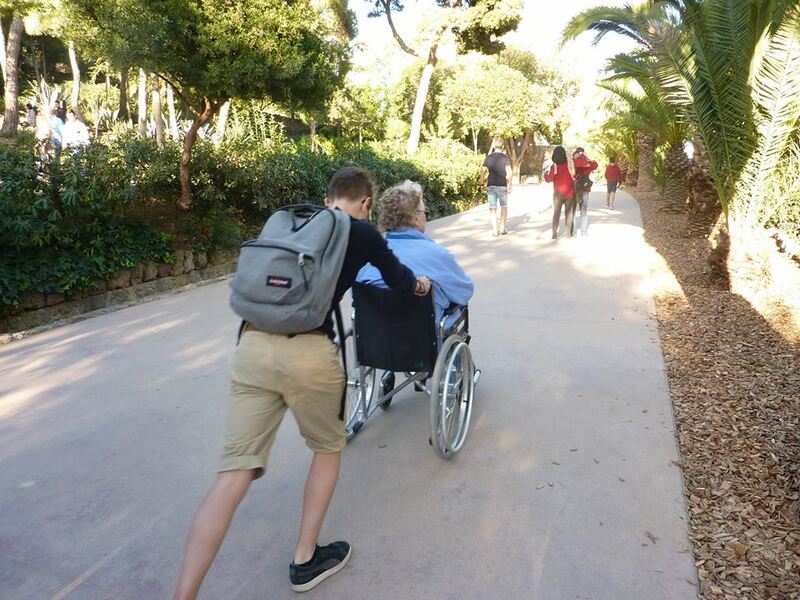 Park Guëll is NOT wheelchair friendly but it´s possible. There´s a map available with the best route to take with a wheelchair, but the roads can be uneven and d-tours are required because of steps integrated in the design of Gaudi. My best advice is to organise a wheelchair accessible taxi (let us help you) but you can also take a small local wheelchair accessible bus – Bus de Barri nr 116 that will leave you a the main entrance.